Activ Mozaic is a project of FSC with great creative potential! We value the imagination, talent and skills of our volunteers and beneficiaries. 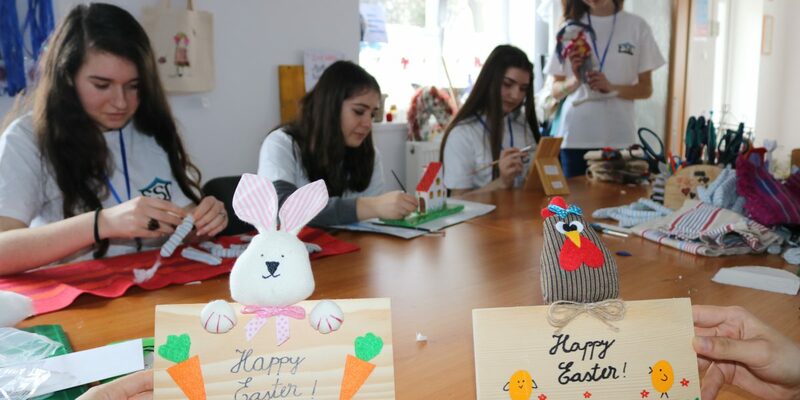 The project has high therapeutic and educative values, the volunteers learn about techniques for making the decorations and the jewelries and also learn marketing skills for generating incomes out of their work. The beautiful objects are sold through an online shop and we invite you to admire and buy them. The objects can be personalized for your own needs. Also the companies can order handmade, unique stuff for their clients, employees or partners. The amazing products are also proudly displayed and sold at local fairs and in the week-ends at the city mall. Happy shopping! The objects made in the workshop are made of fimo (polymeric clay), argyle, recycled and ecological materials (leather, wood, glass, metal, fabric, etc.). The results are unique, varied, beautiful home decorations, jewelries, bags, traditional Easter and Christmas stuff. We can transform your idea into a unique and personalized pretty and lovable object!!! Buying from the workshop contributes directly to the support of the medical, social and educational projects developed by Fundatia de Sprijin Comunitar. We reassure you that every contribution makes a big difference. You can access the online Activ Mozaic shop by clicking the link below!